***SOLD***4yo Class 1 VICTORIAN "Star Witness" Gelding- Race Fit - REDUCED TO SELL! *6.5L off them Pakenham in a BM64 1400m. *6L off them today (27/01) Geelong 1500m. *5 starts total to date and he's not just a plodder, even though he'll most likely get over more ground. Trainer tells me he's confident that the horse will get more ground and is probably looking for 2000m. Vic form should more than hold up interstate, as it almost always does! They also reported jockey's that have ridden him have all said he gives them a terrific feel, which is always a good lead. In your hands, he's on the market to be SOLD. Stable have been upgrading last few years, so he has to make way for the better performed METRO horses. Take2Bloodstock P/L offers the details of this horse in good faith but cannot guarantee or warrant the accuracy of this information nor warrant the condition of the horse. We recommend that a buyer procure an independent vet examination after an offer is accepted and prior to exchange of funds. This horse is offered subject to prior sale, price change, or withdrawal without notice. Photos may not properly reflect the current condition of the actual horse offered for sale. In some cases stock, yearling or stallion photographs may be used. All accepted offers need to be finalised within 72 hours, unless prior permission has been received in writing. STAR WITNESS (AUS) (Chestnut 2007-Stud 2011). 4 wins-3 at 2, VRC Coolmore Stud S., Gr.1. Sire of 367 rnrs, 225 wnrs, 14 SW, inc. Global Glamour (ATC Flight S., Gr.1), Star Turn, Mella Maria, Fuhryk, Graff, Crown Witness, Our Crown Mistress, Stellar Collision, Lord Balmoral, Lycurgus, Magic Alibi, Pearl Star, The Barrister - High Volatility (H.K. ), Well Sprung, SP Kimberley Star, Serenade, Terminology, Berkshire Lady, She's Our Star, etc. Lucky Paddy (g. by Churchill Downs). 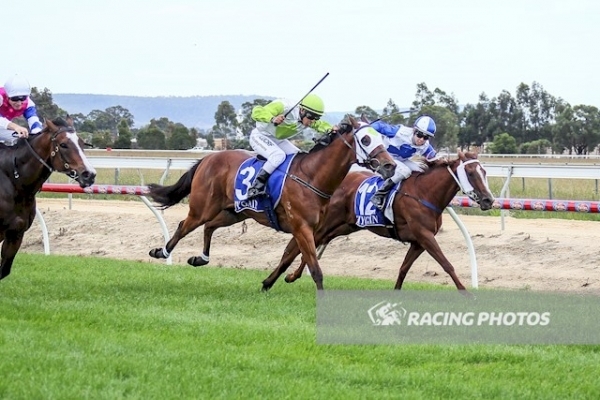 4 wins from 1400m to 1700m, A$227,370, MVRC Johnnie Walker Country Cup, Pakenham RC Casey Cardinia Foundation H., 3d MVRC Mitchelton Wines H., SAJC Schweppes H.
Safariann (f. by Turffontein). 3 wins-2 at 2-to 1200m, A$105,550, MVRC Pendragon at Think Big Stud 2YO H.
Angry Cat (g. by Estambul). 6 wins to 1200m, S$323,462, Singapore TC Class 4 H., Initiation P., Kranji D S.-twice, Auckland Racing Club Trophy, Class 5 H., 2d Singapore TC Kranji D S., Novice H., Big Maverick S., Victoria Harbour S., Benchmark 67 H., Class 4 H.-4 times, 3d Singapore TC Happiness S., Class 4 H.-5 times. Funky Farm (g. by Star Witness). Winner. See below. Ottobello (Bellotto). 9 wins to 1400m, A$177,760, SAJC Channel 7 H., Challenge 2004 Final H., Jetball H., Jayco H., Singin' in the Rain H., 2d SAJC SA Brilliant Blend Challenge Series Final, Splendent H., Best Brick Pavers H., Fraar H., Centro Properties Group H., Haigh's Chocolates H., Anthems 2YO H., Ulvapron 2YO H., 3d SAJC Penny Edition S., L, Jeune H., SA Volunteers Day H.
Risky Lass. 8 wins from 1200m to 1600m, A$86,600, SAJC Lexus of Adelaide H., Last Tycoon H., Tabform H., Editorial Works H., 2d SAJC Schweppes H., 3d SAJC Holden VT Commodore H., Channel 7 H., 4th SAJC OJ Smith Challenge S., L. Producer. Tivation. 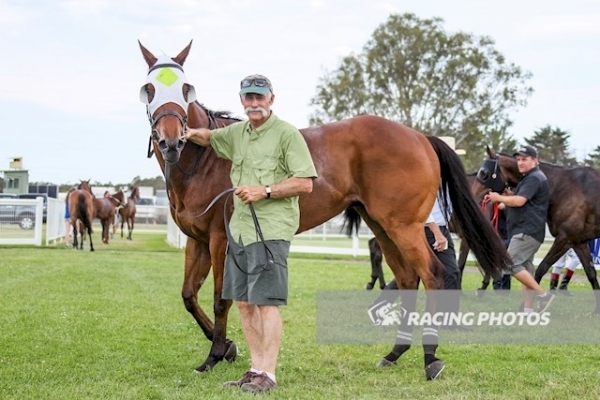 6 wins to 1400m, A$140,180, SAJC Philips Medical Systems H., Allan Scott Park Morphettville H., Tilbrook Rasheed H., 2d SAJC Allan Scott Park Morphettville H., Pope H., Citrus XO H., Sajc.com.au H., WATC Key Target H., Schwenke Young Real Estate H., Yellowglen Melbourne Cup Day at Ascot H., 3d WATC Petite Amour H.
Tuscany Boy. Winner at 1000m, SAJC Become a Member P., 2d SAJC Schweppes H., 3d SAJC Ulvapron H., Pura Lightstart H.
The Princess. 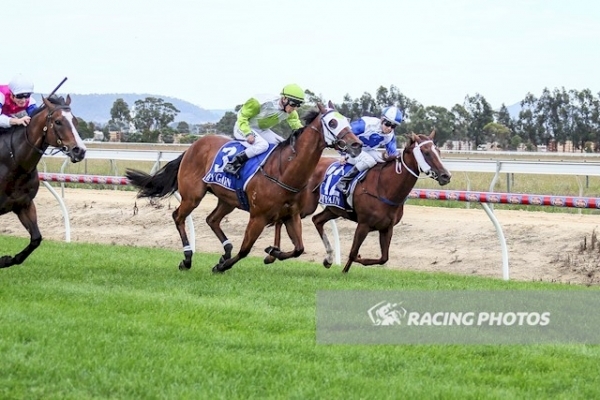 6 wins to 1350m, A$88,910, 2d SAJC Wolf Blass & Associates H., AV Jennings H., Irish Day H., 3d SAJC Schweppes Oaks March H., Glenelg Funerals H., Excel Rent a Car H., Boxing Day at ASPM H.
Belvidere Babe. 4 wins at 1000m, 1200m, 2d SAJC McGuinness McDermott Foundation P.
Dellottie. 4 wins at 1050m, 1200m, 2d SAJC Pride & Glory H., Cremorne Hotel H.
Philliann. 2 wins. See above. Just Tess. 6 wins to 1200m in Aust. Pride of Olivia. Placed in Aust. Stardan. Placed at 3 in Aust. Light a Star. Placed in Malaysia and Singapore, 3d Singapore TC Restricted Terms. Give Me Time. 3 wins to 1200m, BATC Queensland Cement H., Nations Quest H.
Sinodal. 12 wins from 1200m to 2400m, A$111,414, TRC Raine & Horne Spring Cup H., TTC Captain Marine H., Carrick P.H., TRC Cheaper Furniture H., Raine & Horne Show Cup H., TTC Deloraine Cup, Racing Industry Training H., Examiner Newspaper H., An Affair in February H., Royal Rambo H., 2d MRC Olympic Girl H. Producer. Nandy Rae. 3 wins-2 at 2-at 1200m, 1250m, STC Arctic Coast S., Gosford RC Surfside Six H., AJC Dual Quest H., 2d AJC Super Grasse H. Producer. Race Record: 5 Starts 1-0-0 A$16,650. Winner at 1200m in 2018-19 in Aust.